I just picked up your latest book yesterday and absoultely loved it. 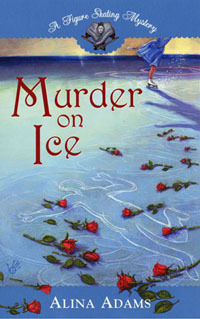 One question: did you know that there's a Ukrainian skater named Igor Marchenko before you started writing the series? 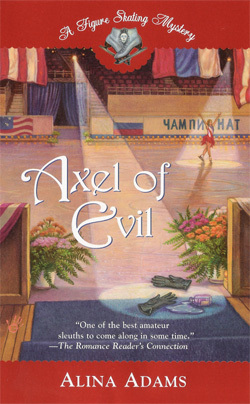 Secondly, the outline for the book that became Axel of Evil was written in the Spring of 2001. At the time, I was vaguely aware of Igor Marchenko. I'd worked the Winter Olympics in Nagano and even remember their long program (I *think* the last third was to We Are The Champions). But it was one of those cases where the name sounded good -- though I couldn't remember why. I thought I simply picked two relatively common Russian/Ukrainian names and put them together. (I actually originally called him Marchechenko, but then decided it was too long). 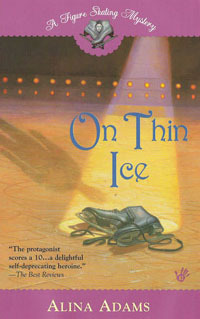 Since then, I realized I borrowed a name from a "real" skater. Not sure if anyone is out to kill him, though... Maybe I should track him down for a "Where Are They Now?" thanx for answering my question. :) if it's not a bother, can I ask why at the end Cooper says Jeremy'll be on the World team with him? Isn't Jeremy too young for senior worlds and be sent to junior worlds instead?